Update 4/17/18: It’s been a year since I originally published this Transfer Bonus series, so I’m in the process of updating all three posts with transfer bonuses over the last 12 months. Today… Membership Rewards. American Express Membership Rewards, SPG Points, and Citi ThankYou Points, three of the four major transferrable point currencies, will periodically run transfer bonuses to loyalty program partners. For example, if you had transferred Membership Rewards to British Airways Avios last October you’d have gotten a 50% bonus of Avios. This post is part one in a series where I will be sharing the histories of transfer bonuses from Membership Rewards, SPG Points, and ThankYou Points. I have never seen a transfer bonus offered between Ultimate Rewards and any Ultimate Reward transfer partner. If I left a transfer bonus out, please let me know in the comments and I will update the post. To put it simply, strategy and planning. 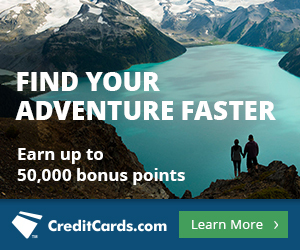 Want to redeem less points? Have the flexibility to wait to book your award? If you have an idea of when the next transfer bonus is, you could wait until then. Transfer bonus histories are especially useful if you want to transfer points to a partner that doesn’t normally have a favorable transfer rate, and a bonus would make the transfer feasible. For example, last year I found a British Airways Avios sweetspot between Brazil and Europe: It only costs 42,500 Avios + taxes to fly Iberia (flat bed) Business Class between São Paulo and Madrid. Unfortunately my only access to Avios was via Membership Rewards, and the transfer rate at the time between Membership Rewards and BA Avios was 250:200, which would make the redemption worse. I researched when the last transfer bonuses were from Membership Rewards to BA Avios and learned that there had been one bonus offered per year for two out of the prior three years, and each had been in the second half of the year (August or later). That told me I wasn’t likely to see another bonus offered within the period of time I had to book my desired award. Thankfully since then the transfer rate has improved to 250:250 and we’ve even seen a transfer bonus thrown on top! But that’s beside the point. Point is, the more historical info you have, the better you can plan out redemptions. Information below only concerns transfer bonuses from the last four years. If a transfer partner isn’t mentioned, it’s because there have been no transfer bonuses offered in the last three years. For partners that don’t transfer 1:1, I’ve included a reminder of the rate. That’s the only bonus I’m aware of from recent history. This is the first transfer bonus we’ve seen between Membership Rewards and Air Canada’s loyalty program since 2010. Looks like they tested the waters with a targeted promotion. As there hasn’t been a transfer bonus since 2015, I’m hard pressed to say there’s a pattern here. There are some pretty big changes coming to the Flying Blue program come June 1, so if anything, I may keep an eye out around that time for a potential transfer bonus. Not much of a pattern here. We got stellar news in early July of 2017 that the transfer rate was restored to 250:250! They even decided to sweeten the pot by laying on a transfer bonus a few days later. From mid July through mid September of 2017, there was a 40% transfer bonus. I’d say you can realistically expect a British Airways transfer bonus once a year from Membership Rewards, most likely in the second half of the year. The Membership Rewards > Etihad transfer bonus that I expected in May and June of 2017 didn’t happen. There have been a few transfer bonuses to Etihad (not sponsored by Amex or Membership Rewards) from hotel point programs to Etihad in 2017 and earlier this year, but it looks like the loyalty program has shifted away from Membership Rewards transfer bonuses unfortunately. There is a clear pattern here. You can likely expect another 25% Hawaiian Airlines transfer bonus in June of this year. In early July of 2017, along with British Airways Avios, the transfer rate was restored to 250:250! The same 40% transfer bonus that applied to BA Avios from mid July to mid September of 2017 also applied to Iberia Avios. My prediction for Iberia Avios transfer bonuses is the same as for British Airways Avios transfer bonuses: there will probably be another in the second half of 2018. With all of the recent transfer bonuses, and especially the recent targeted promotion trying out different ratios on different customers, it looks like they’re toying with the idea of changing the transfer rate to 250:250. I certainly hope so. Transferring to JetBlue at the current 250:200 rate is a bad deal, but at 250:250 being able to top off your account for a redemption could be quite useful. Especially if you garnered a bunch of JetBlue points back in 2016 with the crazy Virgin America/JetBlue Status/Points match. I wish airlines were always fighting that fiercely for our business! I would expect another transfer bonus from Virgin Atlantic any day now. Since it hasn’t kicked in for April yet, perhaps the beginning of May. Check out Maximizing Ultimate Rewards: Virgin Atlantic Flying Club #1 and #2 (redeeming on partners). Maybe Virgin Atlantic miles have a sweetspot you weren’t aware of that align perfectly with your travel plans, and a transfer bonus from Membership Rewards could make it that much sweeter! I’m not aware of a time that a public transfer bonus has been offered between Membership Rewards and SPG. And since we didn’t see a targeted transfer bonus in October and November of 2017, I wouldn’t expect one this year (remember, in August, all SPG points will turn into Marriott Rewards at the conversion rate of 1:3…more info here). While transferring Membership Rewards to SPG points might have been a good idea with a transfer bonus, specifically for redemption on Marriott Travel Packages, I wouldn’t transfer them to SPG without a bonus. I value 1 Membership Reward point much more than 1 Marriott point, which is essentially what you’d be trading for (1 Membership Reward = 1/3 of an SPG point = 1 Marriott Reward). Platinum Card from American Express – The Platinum Card comes with a 60k sign up bonus for spending $5,000 within three months. It comes with TONS of perks that help even out the hefty $550 annual fee. Read How to Get the Most out of Your American Express Platinum Card to learn about how to take advantage of all the benefits the card already comes with. Business Gold Rewards Card from American Express – This card is #5 on our Top 10 business cards list. 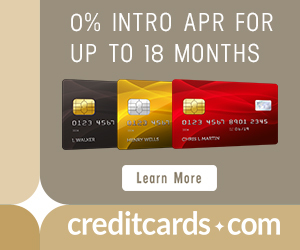 Read the full breakdown in Business Gold Rewards Card Increases Sign Up Bonus to 50k Membership Rewards. Having a historical reference of when the last transfer bonus was can be valuable information if you’re trying to plan an award. If you time it right, you can pay even less points. Judging from the most recent Membership Rewards transfer bonuses, it looks like the next few we can expect to see are to Virgin America very soon, and Virgin Atlantic and Etihad around May. All of those partners have excellent redemption options, so if you have Membership Rewards take a look at each program to see if your travel plans align with their strengths. Bookmark this page for future reference! And let me know below if there was a past transfer bonus I missed. Sarah, Thanks for the helpful write-up. Could you please include a history of transfer bonuses from Membership Rewards to SPG points? It may not the most desirable transfer, but it could be a unique opportunity for those interested in redeeming Marriott points for travel packages. No problem! I’ll add that info to this post soon and let you know when I do. Hi Vince! I just added a section about Membership Rewards to SPG transfer bonuses. I am not seeing this. Did your changes disappear? I accidentally deleted them when I recently updated this post. Just added that section back in. Any info about Aeroplan bonuses? Thx. Since neither of those happened within the last three years, I didn’t include them in this post. You’re right. It’s on the list to update. I don’t see any posts from Scott anymore. Is he still involved with MileValue? Best of luck with the site! May I ask why he left? I’m a longtime reader and it seemed like the blog was his baby. Sarah, Is Scott Ok? He was a big help in getting me going in this hobby. I would always go to this site before others. I wish him well in whatever he is doing. He’s great! Just moved on to other endeavors. Currently in Serbia I believe. You said above that you would add info for MR->SPG xfer bonuses, but I’m not seeing it…. Also, shouldn’t you get rid off the Scott graphics since he’s moved on? I did add a section last year, then accidentally deleted it when updating this post earlier in the month. Just added it back in. Which Scott graphics are you referring to?